Daniel Lu scored 6/7 at the 2010 Burt Lerner National Elementary Chess Championship and is a national chess champion in the K-6 section. Allan Beilin scored 6.5/7 at the 2010 Burt Lerner National Elementary Chess Championship and is a national chess champion in the K-5 section. Weibel Elementary School Chess Team scored 17 points at the 2010 Burt Lerner National Elementary Chess Championship and is a national chess champion in the K-3 section. Michael Wang scored 5.5/7. Joanna Liu scored 4/7. Alisha Crawla scored 4/7. Serafina Show scored 3.3/7. Art Zhao tied for second place at the 2010 Burt Lerner National Elementary Chess Championship in the K-5 section. Tanuj Vasudeva tied for second place at the 2010 Burt Lerner National Elementary Chess Championship in the K-3 section. Times are interesting when a third grade Fide Master comes up short in a K-3 chess tournament! Mission San Jose Elementary School placed second at the 2010 Burt Lerner National Elementary Chess Championship in the K-1 section. John Chan scored 5.5/7. Luke Zhao Scored 5/7. Mihir Bhuptani scored 5/7. Soorya Kuppam scored 4/7. 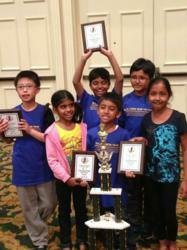 This is the second year in a row that a school from Fremont, California has won a national chess championship. In 2009, Mission San Jose Elementary School was crowned National Elementary Chess Champion by the United States Chess Federation at the National Elementary Chess Championship. This year Weibel Elementary School tied for first in the K-3 section at the 2010 Burt Lerner National Elementary Chess Championship. I am one of the lucky few chess coaches to have taught chess at both of these schools and am proud that Fremont is now surpassing New York City as the Scholastic Chess Capital of the United States. 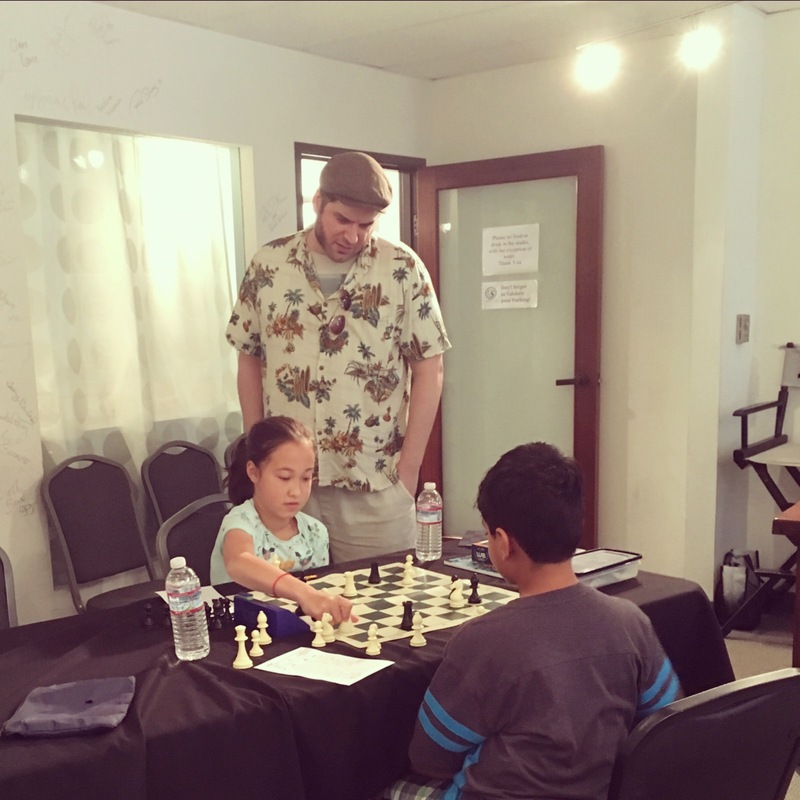 Bay Area scholastic chess players are invited to participate in a summer chess camp at Mission San Jose Elementary School in Fremont. Visit www.ChessAndMusic.com for more details. The Bay Area’s best scholastic chess players are cordially invited to join the World Journal Chess Team in Millbrae. (Millbrae is located just South of San Francisco.) This program is perfect for North Bay chess players who are serious about studying to quickly improve their chess rating. Chris Torres, chess instructor for the 2009 National Elementary Chess Champions, will be providing one hour of instruction followed by a rated USCF chess tournament. All children who participate will see rapid improvement in their chess abilities. The application for this chess class is below. The World Journal Chess Team is brought to you by the World Journal Newspaper and the Torres Chess and Music Academy, a non-profit organization. The World Journal Chess Team chess program meets every Sunday from 4:00 until 6:30, beginning February 21, 2010. The tuition for this program is $250 for ten weeks. Checks should be made payable to The World Journal. The chess program will be offered every Sunday. If we will be missing a Sunday due to a tournament or unscheduled absence, we will notify you in advance. Make up classes will be scheduled. There will be no class on 4/4 and 4/18. This program is designed for tournament chess players. I, hereby, as a Parent/Guardian of ___________________________ have read all the requirements and give my child permission to participate in the TCAMA Program held at the World Journal Newspaper Activities Center. I recognize that this program is under the direction of the TCAMA and is no way connected to the World Journal Newspaper and only the TCAMA can be held legally responsible for this program. Please contact Chris Torres at (661) 699-8348 or at chesslessons@aol.com if you have any questions.